the oceans boiling would not be achieved even if all land-mass was being nuked, let alone if just the ozone layer was missing. I get it now, stupid question. Now I have a new problem but I will do more research on this: it might not be possible for humans to generate the required amount of CFCs to obliterate all ozone. The oceans formed probably sometime before 4 billion years ago. It took billions of years for photosynthesizing bacteria to arise & then produce enough oxygen to oxidize all the iron in the oceans, and only then begin to accumulate in the atmosphere. Only a long interval after that then, for the ozone layer to form in the upper atmosphere. In short, the oceans existed for billions of years in an atmosphere without any oxygen at all, never mind an ozone layer. I think this is the eighth time I've posted this picture. I'm keeping track. It is from Wikipedia. The oceans will leak into space if the right function of average temperature and escape velocity is met. This is designated by the "water (vapour)" (how British!) line on the graph above. 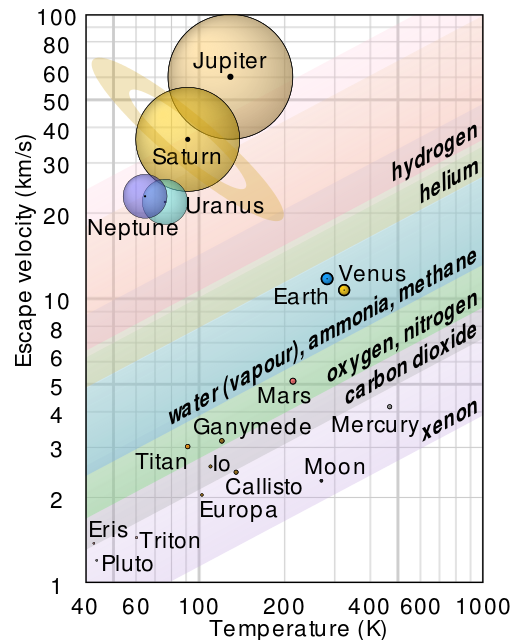 For the Earth, the escape velocity is constant, so average surface temperature will have to increase into the ~600 K range before water vapor starts escaping into space. Ozone depletion will not cause that, so the oceans will not escape, even if you raised the planetary temperatures to > 373 K to boil them. The Ozone layer blocks the UV rays. Removing the Ozone layer will kill all life on earth. For ocean life, excessive UV Rays can impair Photosynthesis. For your question, we take this as an example, get a glass bottle, lock it up, cover it with paper then leave it under the sun. Then get another bottle, lock it up, then leave it under the sun. as far as how much time we can fix this, the answer is, until the world in gets rid of CFC on every materials AND the CFC present in our atmosphere dissipates, there is no stopping the degradation of the ozone layer. Not the answer you're looking for? Browse other questions tagged environment climate atmosphere earth water or ask your own question. What would happen if Earth's oxygen reached the Sun? What would happen if the Earth starts revolving around the sun in the reverse direction? What would the average UV-Index of New York City be, if the ozone layer was completely depleted? Can a planet have more than one ozone layer? What would the world be like with no Ozone layer? What if the Earth's oceans are added to Mars? What can cause the formation of a water canopy above the Earth's surface?